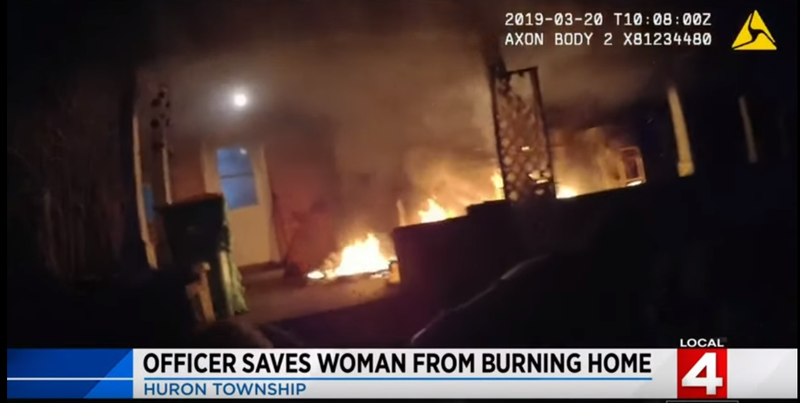 Dramatic footage has emerged of the moment a police officer saved a disabled woman from a burning house. The incident occurred in the Huron Township near Detroit, Michigan. It has not yet been revealed how to the blaze started, but thanks to the quick actions of officer Adam Sheehan, everyone made it out safely. The fire started early on Wednesday, March 20. As the footage shows, when officer Sheehan entered, the woman was sitting in a chair and on the phone, calling for help. The woman’s sister, however, apparently reentered the burning building as neither of them wanted to leave without their seven cats. After a call to 911, officer Sheehan was dispatched to the house, but had to call for backup once he saw the size of the fire. 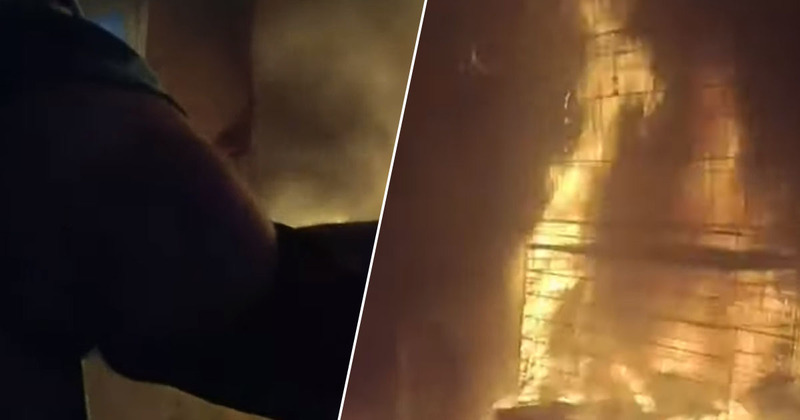 The fire was intense on the front porch of the house, though the brave police officer went through to rescue the woman from the smoke-filled house. Officer Sheehan was met by the woman’s sister as he ran towards the house. Despite him telling the sister to ‘get away’ she follows him inside. As the unnamed sister says though, the other woman inside is ‘heavy and handicapped’ and therefore wants to help get her out. [The smoke] was starting to make me cough, I was starting to feel a little panicked because I couldn’t see that well coming into the house. I feel I was just doing my job, and I was able to save someone’s life. 99.9 per cent of the time this is exactly what you get out of law enforcement, and at the end of the day all I can say is I’m very proud of him and he’s a true representation of the officers, not only in law enforcement but here in Huron Township. The two women said they were both very grateful to officer Sheehan and his quick-thinking, and that they’d like to thank him – face to face – very soon.